As tales and histories, I suspect that the sageuk will also age better over time. The atmosphere of “living theatre” that pervades them thanks to the brilliantly stylized wardrobe and dramatically archaic language and modes of declamation suggests a long, long shelf life to me. Furthermore, their subjects — as persons or as eras — are fertile ground for narrative reinvention; this makes it possible to revisit the histories of an individual or a particular period already familiar from other dramas, and to tell new stories involving them without becoming redundant. 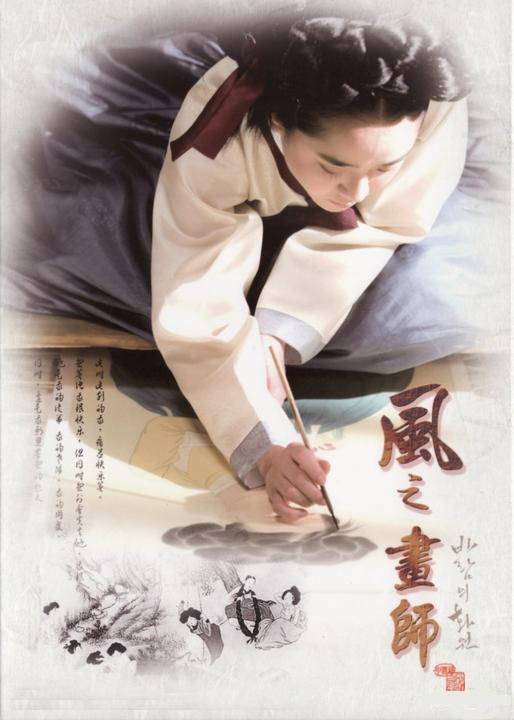 To wit, my list alone includes three titles about King Sejong the Great, two about the poet gisaeng Hwang Jin Yi, two about the painter Hyewon (Shin Yun Bok), and a grand total of eight (!) dramas prominently featuring, or expressly about, Jeongjo of Joseon, the twenty-second king of the Joseon Dynasty, patron of the arts extraordinaire and all-round renaissance mind (and a man with whom I share a birthday!) — [잠깐만! Actually, Hyeon Bin’s recently released —and much anticipated (by me! )— 역린 (King’s Wrath, aka Fatal Encounter) makes that nine titles featuring King Jeongjo!]. Also very present are the fifteenth and sixteenth kings of the Joseon Dynasty, Gwanghae (1574-1641, r. 1608–1623) and his unhappy successor Injo (1595-1649, r. 1623–1649). I do seek out these alternate versions for my own edification and enjoy discovering how the storyteller’s shift in perspective enriches my imagined pictures of the past. Ultimately, sageuks, on principle, are set in the context of actual historical events. Even at the farthest fusion extreme (save, of course, the very fringes), they still propose to offer some historically tenable cultural context in which to unfold their story. And so I read them the way I read Shakespeare’s histories and tragedies: as dramatized narratives about moments in history, designed to contemplate and interrogate our shared human condition and experience while bridging the grand chasm of time separating the present and the past — and all of this in a way that only Poetry knows how to do. For really, who will quibble about the historical veracity of the magnificent speeches, monologues and exchanges in, say, Shakespeare’s Julius Caesar? In the categorized list below, I have allowed myself a small liberty that puts my bias for sageuk in even greater relief. While the contemporary fictions section of the list includes only the titles I have actually seen (plus one or two that I’d really like to see sometime soon), the historical section includes both the dramas I’ve seen and those that I plan to watch. With several of those I want to see, I have caught maybe an episode or two (esp. in the Goryeo section of the list) and thus already detected the preponderance of certain themes and tropes that make me want to know more. But why keep them on the list if I have not seen them entirely? Well, since I’ve arranged the historicals (seen and unseen, with the story’s dates in parenthesis) by the era in which they are set, the list puts them in relative chronological context. It also makes it easier to notice recurring themes common to dramas set in a particular era. So for example, it becomes clear that the Goguryeo- and other Three Kingdoms-era dramas, set at the dawn of Korea’s history, are largely concerned with national foundation legends and accordingly, come with trope-laden heroes (both male and female) who go through several distinct stages of growth and transformation, all the while bearing the fate of the Korea of yore on their beleaguered shoulders. These stages span — by varying numbers of degrees — from the hero’s ignorance/naïvité concerning his prophesied destiny, to his reluctant acceptance of his fate, to his hard-won and sincere humility (usually resulting from some unspeakable loss), and finally to becoming fully realized in Wise Princehood. These dramas carefully document the hero’s individual and institutional martial feats as he expands the empire and fulfills the great missions of unifying the peninsula’s disparate peoples and reinforcing their common ancestral roots. 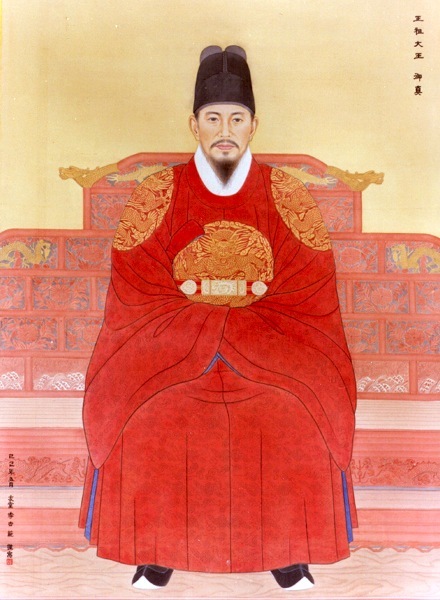 Equally militaristic, but with an even greater quotient of mysticism, are the dramas of the Goryeo period — an era which is considered historically to have been the unstable transition between Silla-Balhae (660-936 AD, following the fall of Baekje and Goguryeo) and the golden age Joseon Dynasty. Accordingly, the prevalence of mysticism — especially in powerful institutions of government and commerce — in dramas set in this period suggests that the storytellers wish to underscore how, in times of great instability, superstition flourishes and enjoys considerable ascendancy. The Joseon Dynasty sageuk is, like that of Goguryeo and Goryeo, replete with court intrigue, although here it proves increasingly more subtle and dangerously sophistic as the centuries go by. Along with that growing vicious sophistication in politics, there is also a growing sophistication in scholarly and aesthetic enterprises. Intellectual innovation and creativity, rather than military prowess per se, become the focus of the Joseon Dynasty sageuk as each in turn celebrates the birth of Hunmin Jeongeum (훈민정음, known today as Hangeul), the innovations of brilliant practitioners of medicine and commerce, the allure and refinements of dance, poetry, and music, the evolving semiotics of visual art, and the visionary possibilities of engaged scholarship. This part of my list also includes the highest number of fusion sageuk (although, really, being dramatic readings of history, aren’t all sageuks more or less fusion?) When I grew curious about Korean history and then became aware of the sageuk’s foundations in recounting History, I realized that I could compose a virtual timeline in my mind and subjectively dramatize what I was learning from the [dry, dry, dry] history books. But learning history, even with sageuk supplements to fortify my efforts, takes time. And given that sageuks generally run longer than contemporary dramas (Jumong clocks in at 81 episodes! ), it also takes some patience. 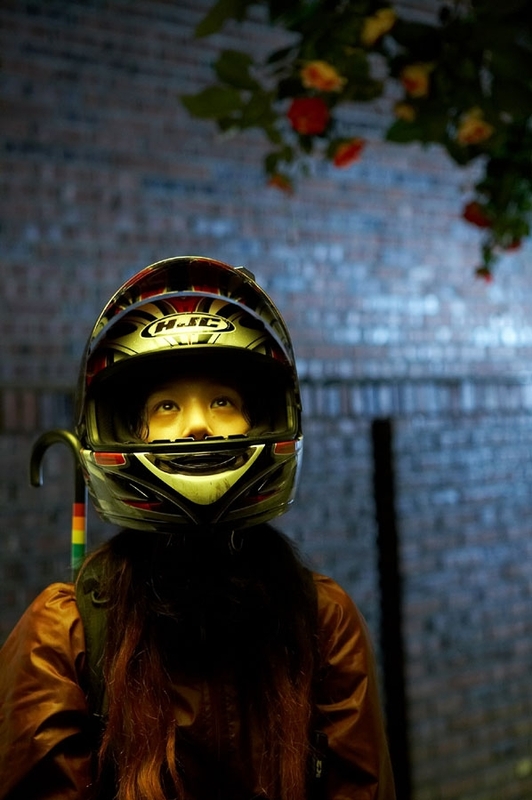 It is a very different viewing experience from that of watching rom-coms, or musicals or contemporary melodramas, and I confess I like the contrast. So I have been in the habit of alternating historical and contemporary, following every sageuk I see with a couple of contemporaries before turning to another sageuk — which must account for the (nearly) 3:1 contemp-to-historicals ratio… My drama viewing has slowed down considerably so I expect that all these sageuk titles will take me several years to get through — and no doubt the to-watch list will keep growing as I learn more about Korean history and seek out the dramatic accounts of particular moments during the times of particular historical figures. I also imagine that the contemporary fictions to-watch list will keep growing too… yep – there is still much drama on the road ahead! So thanking you for your patience through this rather long introduction, here is the list of my journey through the fantastic wonderland that is KDrama. This is a simple system of cumulative experience. NB: an outline ☆ is just a placeholder. Each cumulative solid ★ star includes the qualities of the previous star. E.g. ☆★★ – means that over the course of the drama, I experienced “curiosity and satisfaction” (first star from the right), as well as “excitement, wonder and learning” (second star in the middle). Three solid stars would also include “thrill, laughter and tears” in the experience. What if a drama proved moving, provoking both tears and laughs, but its overall storytelling wiz bang was just okay? Then the middle star remains vacant but flanked by two solid stars thus ★☆★. ☆☆☆ — Grey stars mean I have not watched the title yet. NB: If the designation “Comedy” on some of the contemporary fictions toward the end of the list seems unconventional, it is because I am going by the literary (and Ancient Classical) definition of comedy as a tale of growth through travails culminating in a happy ending. Some of the titles designated as comedies on this list won’t necessarily be laugh-out-loud funny. To warrant that classification on my list, it is enough that they be not fully invested dramas (some rare few of which have happy endings) and that they set up the players as the types ordinarily found in the classical comedy. This entry was posted in (김태평) Hyeon Bin (현빈), (이요원) Lee Yo Won, (정용준) Jang Hyeok (장혁), history, KDrama, Music, narrative, Poetry, query, travel, visual art, 사극 (Sageuk) and tagged Goguryeo, Goryeo, Gwanggaeto the Great, Gwanghae of Joseon, Hangeul, Hwang Jin Yi, Hyeon Bin, Hyewon (Shin Yun Bok), Injo of Joseon, Jang Hyeok, Jeongjo of Joseon, Joseon Dynasty, Jumong, KDrama, Lee Yo Won, sageuk, Sejong the Great, Song Il Gook. Bookmark the permalink. Thank you for the heads up about the period setting of Iljimae (I & II) — I am happy to notice and correct my listing mistake sooner rather than later. I have not seen either drama yet. I do believe that it was about umpteen ages or so ago that I added them to my to-watch list, read something (I forget where) about a Robin Hood type during the Ming Dynasty (how’s that for biased context!) and so I just tacked on the grossly uninformative date range (1368-1644) which accounts for its original position on the list… Dominoes: how inexorably they do tumble one into another..! So thanks to your heads up, I’ve narrowed down the date range to (1627-1636) and relocated both Iljimae dramas to just before Chuno on my list. The best part about this correction is that now I get to recalibrate my anticipations. I gather from what you say that there will be allusions to specific political events which will no doubt help me narrow the setting date even further when I eventually watch both Iljimaes. In the end, I am happy to know that the list can be useful to other drama fans and/or lovers of History. One more clarification! (Since I’m on a roll… ;)) The two Iljimae’s are actually unrelated. The “Return” in The Return of Iljimae has to do with the idea that whenever there is trouble, this particular hero will be reborn. I’ve not seen Iljimae, but I understand it’s a very tongue-in-cheek telling of the story. I think it’s the more fusion-type one, so I’m not sure if it sets itself in history or not. The Return of Iljimae, however, is a pretty straight-up hero’s journey. And the narrator fills in gaps on what’s going on during his various travels and travails. So I believe it’s set pretty specifically (though I’m sure good historians would find some fudged time-lines — because they always do ;)). The more clarification, the better. Thank you! And how could I not watch The Return of Iljimae as well? I am actually glad to know that they are stories about different incarnations of an archetypal folk hero, each with his own story: double the fun, I’d like to think! Ah, the joys of having a sageuk timeline! Am now watching the first chapter of Iljimae I and in all the talk of conspiracy I hear how our hero’s father is going to be framed as a conspirator and named among those who want to reinstate Gwanghae to power… Big deal! So? Ooooh, I can’t wait to find those two Gwanghae-related titles. In the meantime, I plan to savor the much maligned Iljimae that apparently takes place during the beleaguered Gwanghae’s time of dethronement. How can I not? Prophecies, conspiracies, birth secrets, class issues… mmm-hm! Oh, and let’s not forget the clever super hero whose brilliance and sense of justice are already apparent in his early childhood… all this despite his [soon to be upended] cushy, privileged upbringing… mmm-hm, indeed! This comment has been moved to a new location. Oh, I’m so glad I found your notes! (Or rediscovered is probably the better word choice.) I loved reading through your notes on Return of Iljimae. I adored that drama so it was fun reading your rocky start and then seeing get slowly won over. 😉 For some reason I was fond of the overly-intrusive narrator — but I know I do stand somewhat alone on that. This was my first experience with Jung Il-woo and I am now a huge fan. On a different note, for some reason your blog stopped appearing in my reader — so I assumed you weren’t posting. I’m not sure what the technical glitch was, but I’m really, really glad Maybee nominated you for a Liebster because I followed her link and behold, posts! It might seem excessively forward of me, but I can’t help but grin at your meticulous curiosity. hehe. I love the list. I think it’ll come in handy as I try to chip at sageuks. One recommendation: War of the Flowers. It’s on Dramafever. About Injo and his Lady Jo. Year is 1636. Still airing, though. Unlike my expectations of a sageuk being pretty grave and portentous, this one surprised me by being pretty accessible and even bawdy(!) at times. This drama so far fascinates me and repulses me, alternately. Don’t know how it’ll progress or IF you’ll like it. But Injo is said to be pretty well played here. Thank you for the recommendation Maybee! 🙂 I will definitely add it to my list after what you’ve said. I saw it advertised a while back and even read the description but something about it, starting with the title (Cruel Palace: War of the Flowers), just reeked of makjang. All this was at a time when and work was intense and I needed to be cruising on low gear so I just cruised on by. Now that the rest of my world has quieted down a bit, I may soon be ready to kick things up a notch in dramaland. I’ll wait for it to post all its (50!) episodes and then I’ll give it a go. In the meantime, it finds a place on my list just before The Return of Iljimae. I am also happy to know that you find the list both useful in content and amusing in execution. Where some people collect train sets or build miniature battlefields, I learn new things and try to discover the appropriate place for them amongst the furniture of my sometimes crowded mind. ;-). I look forward to hearing about your experiences with sageuk! I’m not sure if this is the right place to post this, but there’s this Liebster award thingy going around the K-drama blogosphere. It involves answering a set of questions and basically breaking ice. “Gasp!” is right! You know, I just got through posting my own set of super-super-biased awards about KDrama and Film and then I saw this…! Just being nominated is pretty special and I thank you sincerely, Maybee. I had watched the first 2 epdiesos of QSD and had just decided that it was going to be my next historical drama! I was so sad to see that it was gone, BUT glad that it will be back up soon. So for now I’m watching Jumong. Were you watching it on DramaFever? They should still have it up. In any case, Jumong is a more than viable alternative sageuk to spend some time with. What can I say…? More soap opera (of the daytime variety) than historical epic even though it is all about the founding monarch of Geumgwan Gaya, Kim Suro. Watched all 32 episodes with mixed emotions — something akin to amusement and impatience — enjoying isolated elements here and there since the whole things is sort of deliciously terrible. Not awful, just somewhat sophomoric with some bald-faced cultural anachronisms that made me chuckle (e.g. the congratulatory applause – complete with handclapping! – that occurs every once in a while after some gratifying announcement in a council meeting) and the occasionally lame individual or group skirmish. Plainly put, this piece makes it more apparent that Jumong with Song Il Guk rather set the gold standard for Goguryeo period sageuk dramas, especially in its representation of formal comportment, prophecies and certainly of battle scenes and even one-on-one combat. On the up side: I gleaned a few footnotes about the ancient Korean Kingdom of Geumgwan Gaya. It helps that the opening credits feature a map of the peninsula putting places like Goguryeo, Buyeo, Baekje and Silla (prominent in Jumong, Kingdom of the Wind, Jamyunggo), as well as Naklang (once again Jamyunggo) in cartographic context. So, as trying as it has occasionally been to get through Kim Soo Ro, am happy to have done it. Now I can move on to the next one on my list with a clear conscience. 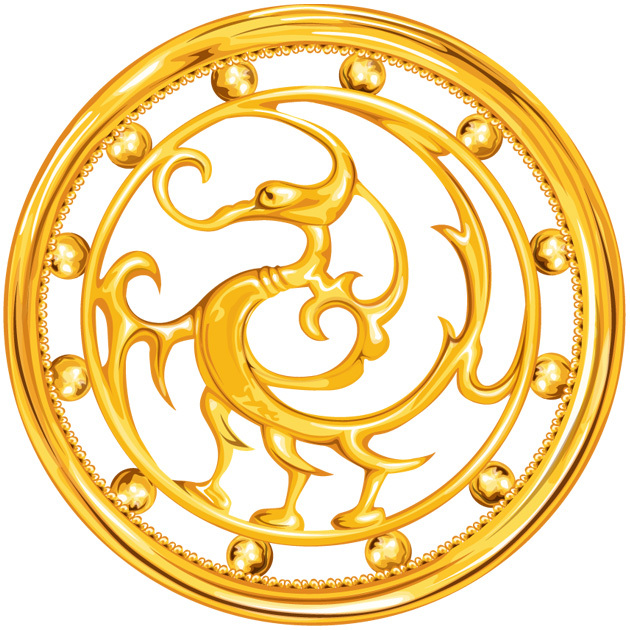 Hi TamaraJ – welcome! I hope the catalogue is helpful to you. I’m glad you like it! Hi Elena! This is a curious, thought-provoking hypothesis… Le t me know if you find out more… Cheers! I’ve been blasted in the past for claimimg that Neo-Confucianism with its hyper-fundamentalist metaphysical emphasis was the dark rotting root of–okay, I’m being wordy. Re-reading Ki-baik Lee’s “A New History of Korea,” he hints at these claims but doesn’t come right out and say it. But those are the glaring issues that gnaw at my brain whenever I read Korean history. The yangban with their precious pinky fingernails really fucked up the nation in their self-important laziness, and it led to the nasty society described by visitors at the end of the Joseon era and to the yangban selling their nation out to the Japanese.To me, the nationalistic chapters sound sarcastic. Welcome, Indira. And thank you! You are welcome to come back anytime! Hit-o-meter: Who delivers on engaging drama? So, given the recent very poor showing of both Kim Soo Ro and King Guenchogo, I started wondering how sageuk dramas fare by production network. It turns out that MBC has a fairly consistent record of turning out hits (that is, is you exclude Kim Soo Ro). KBS, home of King Guenchogo comes in second in consistency while SBS is a little less reliable. I don’t really have a sufficiently large pool of dramas to reach any meaningful conclusion so this is just a bit of trend spotting. Maybe later, after I have seen more dramas, I can find a more reliable pattern. Hi, i agree with you. I have noticed the pattern too, i.e.MBC taking the lead in hit productions. Also of the opinion that MBC scripts are better, there is more thread and continuity compared to SBS and KBS. SBS melodramas tend to be long winded, most scrips evolve around jealousy and envy/revenge a lot and thats when they keep going round and round. For KBS, the star is of course Chuno and second is Iris (not Iris 2 much as i love Jang Hyuk). Am not a big fan of sageuk, (your list now is tempting me, hahahaha, good reviews and thoughts). Thanks for a great write up. Notes on King Geunchogo (근초고왕): 13-14: Pirates! Interesting list. I like how you rate the dramas (kind of complicated for me), but the thought process makes sense, and give lots more insights than just a simple rating system. Will definitely try to check out some on your list. Still apprehensive about starting on saguek, as they are usually long. Hi Y, if you like your dramas short and sweet, you might like some of the fusion sageuk which clock in at 14, 16, 20 or 24 episodes. I don’t know whether you’ve seen any of the ones listed in the Playing Favorites… the KDrama and Film ‘Must See’ List here. Let me know if you find anything there you like. I guess this is the best place to ask several questions..
1) Are you watching Joseon Gunman? What do you think of the series so far? 2) Are you watching Three Musketeers? I regret not marathoning Cruel Palace before since it’s set after the current timeline in Musketeers. Enjoying CP so far and I find myself sympathizing with the characters, especially Jo Gwi-in and Injo. 3) I think you might like Jung Il-woo so I’m wondering if you’ve checked out The Night Watchmen’s Journal..
4) I am so excited for Secret Door that I can’t stop reading The Memoirs of Lady Hyegyeong. Have you read the book before? Cruel Palace: I started watching it some time back but I was also writing a lot so I could not really focus on the story. I did see the first episode and realized that the whole thing was going to be very, very dense, very intense, requiring considerable attention (in a good way, I think). Now that my desk has cleared a little, I will take it up again, and maybe end up marathoning :-). Based on what you just said, I am now really looking forward to it. From other sources, I somehow developed an idea that Injo had a rather unhappy reign so now I want to see how this sageuk makes him sympathetic. Admittedly, the foot-march in the beginning to kowtow to the barbarian Emperor Hong Taiji of the Quing Dynasty was quite painful to watch. Did you notice that the “Game of Thrones” theme music sounds a lot like the background music when Injo finally gets to the end of his tragic march? I do like Jung Il-woo, a lot. But since Joseon Gunman, Three Musketeers and The Night Watchmen’s Journal are all still currently airing, I’m going to wait until their finale before beginning. I do my best to avoid live viewing, especially of sageuk because, if I end up liking the story, the week-long waiting between installments just drives me nuts. Despite my best efforts, though, I still find myself getting ensnared occasionally and when that happens, I just have to make the best of it. It happened with Milhwe and now with Fated to Love You–which I LOVE, by the way–and despite my enjoyment, I found myself resolving even more passionately to stay away from live watching – it really wreaks havoc on me, all that waiting week after week! “The Memoirs of Lady Hyegyeong” is also on my reading list but for a different reason: I recently started paying closer attention to Hyeon Bin’s work and I’m discovering that he is quite a remarkable actor. Of course I indulged in crushing on his strangely intense aesthetic appeal (I still cannot fathom how someone can be THAT beautiful! ), but what’s really cool about him is that he is quite passionate and serious about acting and it shows in the variety of projects he chooses. Anyway, I’ve been waiting for the DVD for The King’s Wrath (역린) aka Fatal Encounter to come out since it combines my interest in Jeongjo with my current fascination with Hyeon Bin. In the midst of all that, “The Memoirs of Lady Hyegyeong” came to my attention as part of a collection of Korean Classical Literature that I got for a present this summer so I know that one of these days I’m going to read it! So I’ll be watching Cruel Palace with you and then eventually I look forward to Secret Door as well! 안녕?! Twitter must be acting up a bit because I didn’t get any notification =.= But I’ve followed you on twitter! Hee~ I noticed the banner and grinned widely while writing my comment yesterday. I think my ‘crazy for Hyun Bin’ phase has passed and I have learned how to be a moderate fangirl, ha. I am saving King’s Wrath for later since I’m concentrating on dramas right now 😉 Apart from Binnie, there are many of my favourite actors in it, so it’s like killing two birds with one stone. Can we get him in a sageuk soon? When thoughts are numerous, rich and complex and we have language at our disposal to unspool them so that others might share them, and it costs us nothing but a little bit of time and a little bit of effort to use the words we need, why shouldn’t we? There is a place for the 140-character exclamation or question. There is also a place for the 3000-word exploration, contemplation, and reflection. Plus everything in between and beyond. Going back to sageuk: last night I had to peel myself from my screen and shoo myself to bed because I had gotten so caught up in Cruel Palace that I marathoned though 9 chapters without intending to. In fact I had decided that I would just go a chapter or two a day or every other day but by the end of chapter 2, I was in that excited “and then..?” mode which, by chapter 3 had developed into a full-blown fever. The end of chapter 6 cracked me up and thrilled me to no end: I was really impressed by Lady Jo’s talent for flattery – even the king was taken aback and kind of into it, even while knowing it was all just hot air. So, as you can see, I’m loving it! I’ve even drafted the “Notes on Cruel Palace” post which I will probably publish by the end of the day today. The “Notes” series of entries tend to be running commentaries on a drama while I’m in the process of watching it so I start off in with an introductory “first impressions” post and then continue to add more thought in the same note. Oh, you beat me already and that’s so fast! I have the whole 50 episodes of Cruel Palace (yeay!) and will resume watching soon, after and I complete a hanbok post which has been bugging me for the past few months..I blame this obsession for all things hanbok! Lady Jo is cunning and manipulative but it can’t be denied that she is quick to get the grasp of life inside the palace. It’s interesting to watch when Injo, who knows exactly what Kim Ja-jeom is planning about when he sends Lady Jo to her, but he seems to enjoy the company of his new concubine. Glad you’re loving it too and I can’t wait to read your notes about the drama! Hi, love your list. Im sourcing some of them to watch, the most difficult to get for me is Tree w Deep Roots (priority is all JH’s productions bcos i love his work, hehehe). Starting w sageuk series and got Gwanghae over the weekend. Thanks to your link, i can watch Daemang online, and after 2 episodes, it looks good to continue. Thank you for sharing. Oh, fantastic! I’m very happy to know that you’re getting some practical use out of it. I’ve linked to the streaming services I use but I know that international licensing issues can sometimes restrict regional access around the world. In case you do encounter any such restriction in these links, I know DramaFever, which is based in San Francisco, California, is expanding to Europe and I think Viki.com is already pretty international. Besides those two, the only other options I have access to are just buying DVDs online from East and South East Asia (yay interweb! ), or sifting through YouTube, which tends to be hit-or-miss (but thank goodness for the fortuitous Daemang playlist). I hope you like Daemang. I fell in love with it in the first 10 minutes and stayed hooked to the end. Maybe it was because of the tiger chase at the beginning which reminded me a bit of Painter of the Wind, or maybe it was because of the gorgeous cinematography; the YouTube video is quite low resolution and therefore somewhat blurry but even that cannot hide the beauty and precision of the shot framing. I also discovered that a grand total of four of the actors on my favorites list were all in this drama, along with a couple of others who I really like but have not listed. 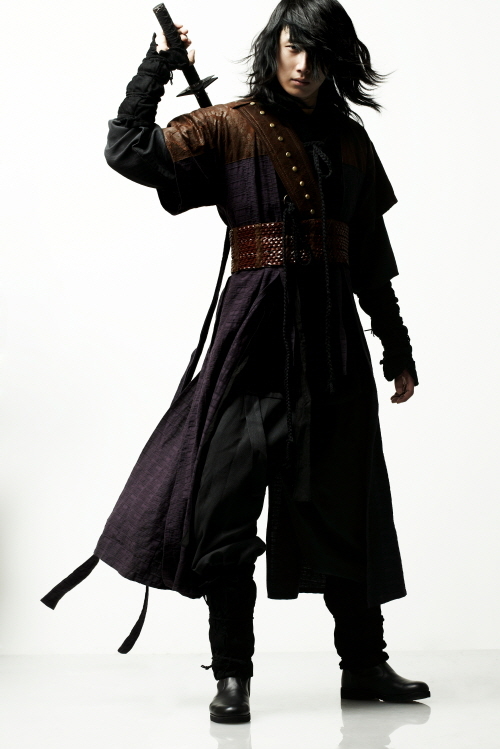 I will try and acquire the DVD for Daemang – that is just how much I loved it! Hi, thanks for the reply and infor. I have read again your notes above and i have to agree with the conclusion that sagueks will have a everlasting appeal for Korean drama lovers compared to melodramas and rom coms. I have now switched to watching films than rom coms or melodramas whilst waiting for the new premiers after FTLY simply bcos FTLY set a bar up and all productions after that pale in comparison in plot, script writing and acting…hahahaha. Also when i started going to watch early works of Jang Hyuk and Hyun Bin, i have discovered that they are less appealing becos it is more dated, and i would certainly have given it a miss if not for the actors in it. The only reason i watched was bcos i was curious how they performed in their earlier works and how they have matured. The only thing that has put me off sagueks is the incredibly long episodes, so whilst i want to explore more based on your list above, i wld probably cheat a bit and go for those w the least no of episodes. Also, i think i probably have to read a bit more to get a perspective of Korean history to enjoy sageuks more. I have watched Gwangae (one grouse i do have is that the Korean directors and producers do not stick to one name for international screenings, took me while to figure out Masquerade was Gwanghae!) and its a gem. This is the first time i watched Lee Byung Hun and he deserves the awards given to him. I would give it a 3 star. 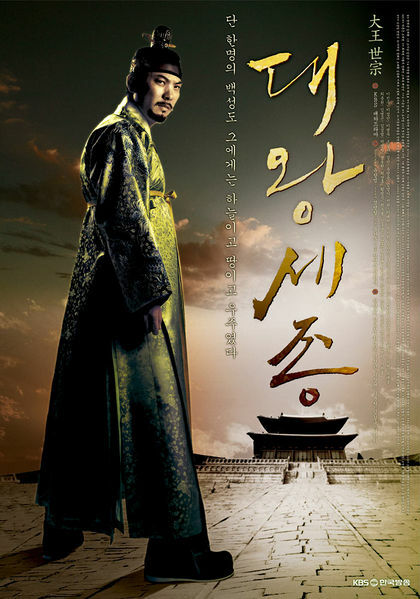 I have also watched King’s Wrath/The Fatal Encounter, but i must say Gwanghae was better. Not becos Hyun Bin didnt deliver but i think the director’s way was not seamless in King’s Wrath so i will give it a 2 star. But in terms of looks, Hyun Bin wins. For Daemang, the YouTube production is a pain to watch, so i have put it on hold whilst trying to get hold of the dvd set. I love your blog, your thoughts and certainly would love to hear more of it from you. Right on! I’ve actually been wondering about the quality of those DVDs. SInce you vouch for them, I will take the plunge. Nice list! I think 3-Iron would be a fitting addition to your movie list.